An independent investigation in the financial and governance issues in one of the recent petitions to the USP Council has been dealt with. 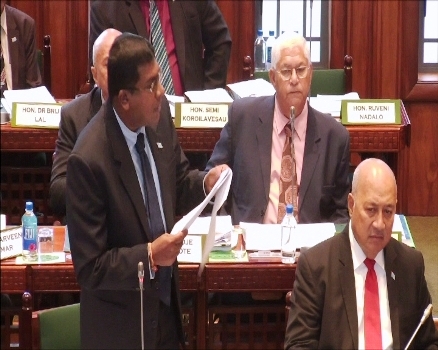 This has been confirmed by Education Minister Dr Mahendra Reddy in parliament in response to Opposition Leader Ro Teimumu’s Kepa’s question on why the investigation was not instituted. Dr Reddy says it has been dealt with by the Executive committee of the council and the full council. The two bodies had found the allegations without merit and dismissed it. The council noted that the issues raised in the complaint were already dealt with before and according to its policy on handling complaints against the office of the University- complaints from anonymous sources will not be considered.